Aluminum foil has outstanding barrier properties. 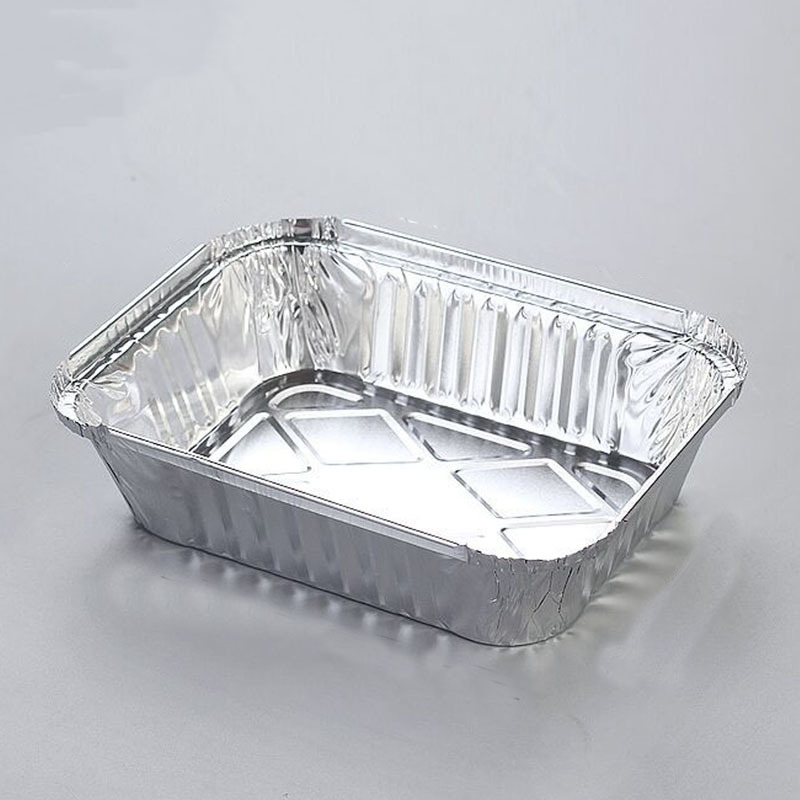 Under the premise of sufficient thickness of aluminum foil, it can basically block gas and moisture completely. 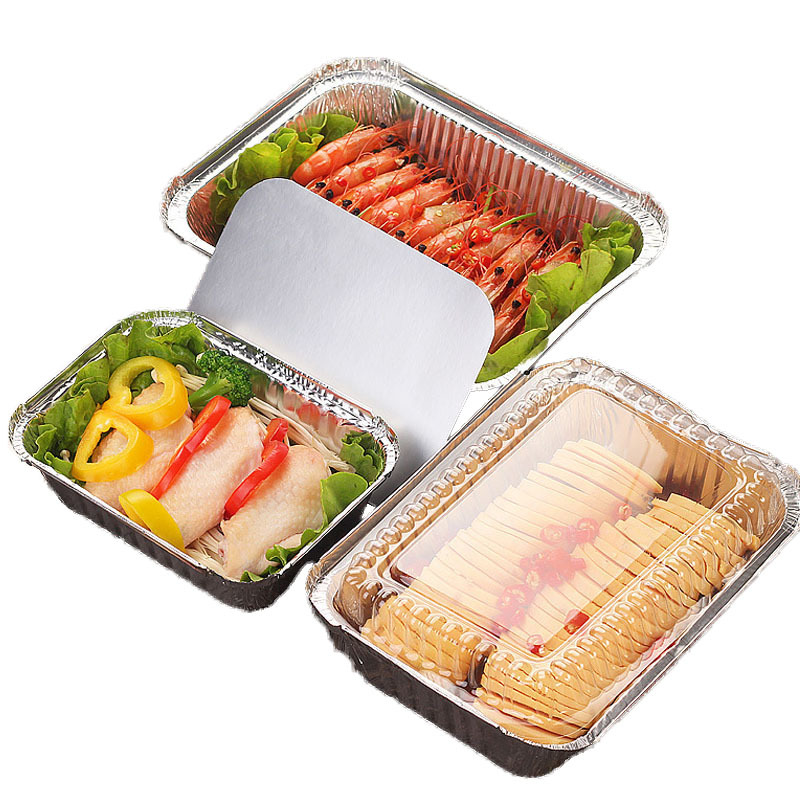 Therefore, in plastic flexible packaging materials, aluminum foil is used as a common barrier material, and aluminum foil has light weight, airtight and package. A series of advantages such as good coverage. Mainly sanitary, beautiful, and can also be insulated to a certain extent. This product adopts a edging design with good air tightness, four-cornered pleats, more firmness and non-slip at the bottom. 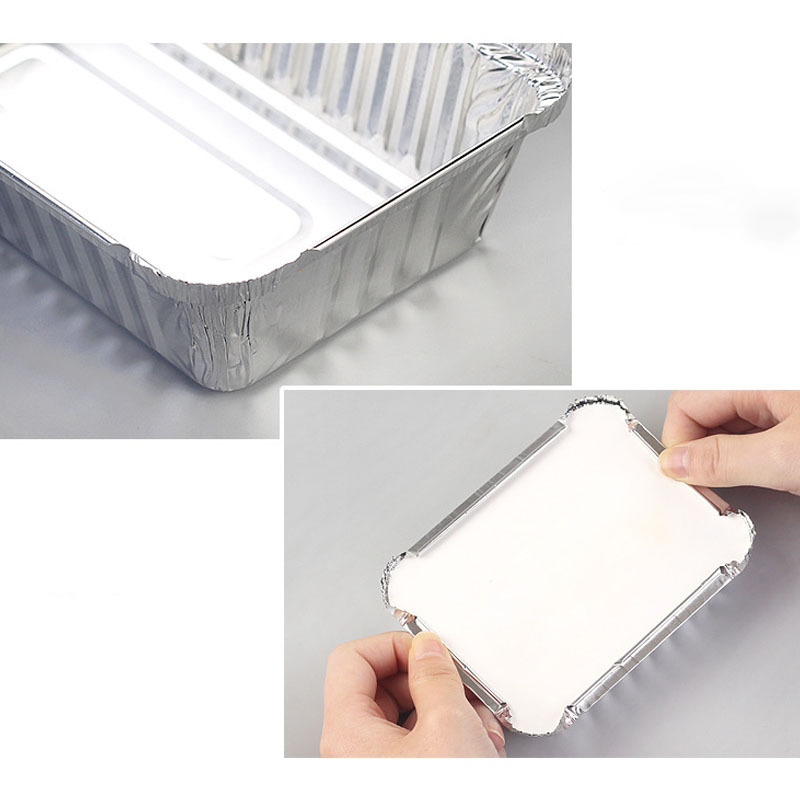 With PS plastic cover and tin foil cover, transparent anti-fog, easy to sort and can see food directly, paper can be printed LOGO tin paper surface can keep food. 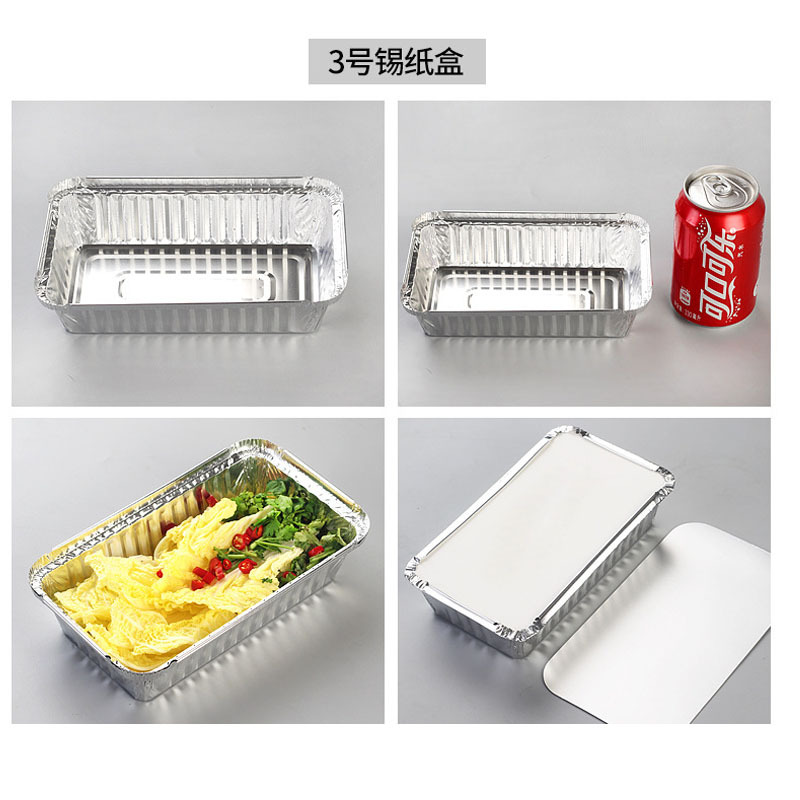 The aluminum lunch box product series is more used for aviation food and cake food retailing, and the update speed is faster and consumes more. Suitable for mass sales. 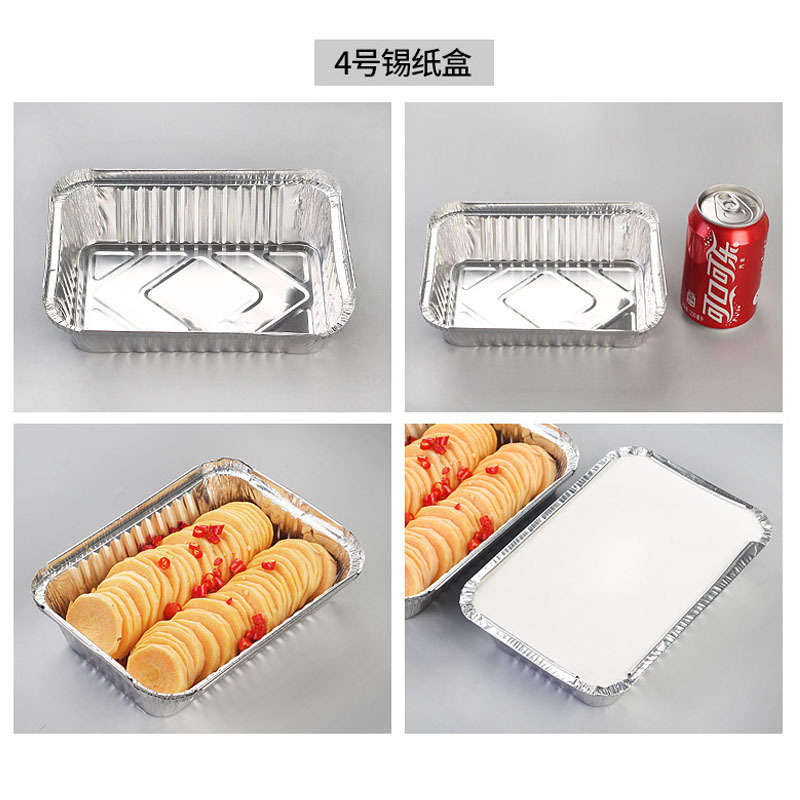 Aluminum foil lunch boxes are used in many places in the cake food store for cooking and in finished food packaging. The product market is relatively wide and the popularity is wide. This kind of lunch box not only meets the national food container hygiene standards, but more importantly, it adapts to the international environmental protection trend. The product can be directly placed on a gas stove for heating and roasting in a microwave oven without fear of danger, which brings great convenience to people. The used lunch box can be recycled and reused, reducing pollution and saving resources, which is a good choice. 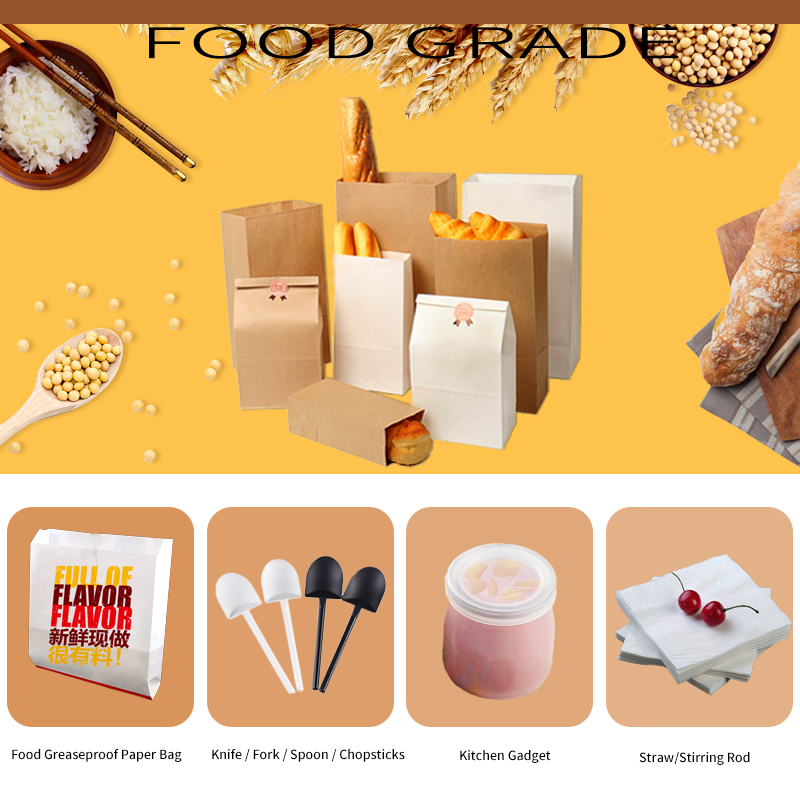 Under the background of people’s growing concern about environmental protection, this kind of lunch box has developed rapidly in recent years, and many enterprises have begun to seize the market, and the future prospect is infinite.